Gentle emulsion with fine exfoliant particles that stimulate daily cleansing, because a correct daily exfoliation should be the first beauty operation for your skin. With it, dead cells are removed from the surface, the pores are clarified and refined and the skin made more homogeneous for the achievement of the objective. An even and uniform texture, ideal even for sensitive skin. 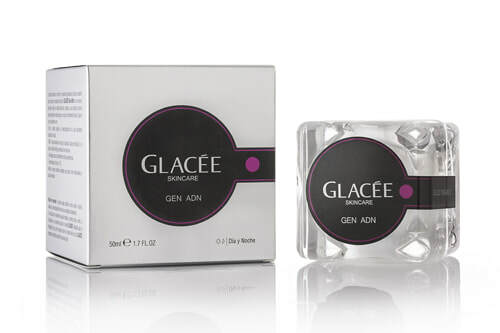 Gentle balancing tonic which restores the necessary moisture to the skin. Instantly refreshes the skin, leaving it soft, balanced and moisturized. Provides freshness and cleansing for all skin types. An isotonic solution with exfoliant action. Purifies and renews the skin surface. Acts with maximum power against impurities, preventing the appearance of future imperfections. Dry and rough skin disappears and the result is a younger and softer texture. This is an essential product for your daily skin cleansing. 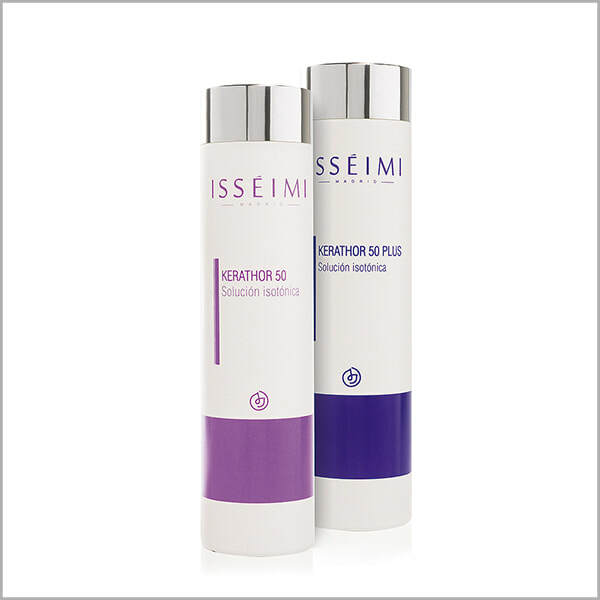 Complement Kerathor 50 or Kerathor 50 PLUS with the home care product of one of the ISSÉIMI collections. The main component of O3 Depur is an ozonised agent called Ozonised Sunflower Seed Oil, which has a great purifying effect whose combination with the other components included in the formula such as Vitamin E or Aloe Vera makes this cream an ideal product for oily or acne-prone skins. The skin is suffocating every day and slowly loses its freshness due to a lack of oxygen. Based on the properties that the Ozone transported in multilamellar liposome provides to O3 Depur, they also make it a cream for cosmetic care in skins which are prone to irritation, reddening or other skin disorders suffered due to the continuous exposure to external attacks. 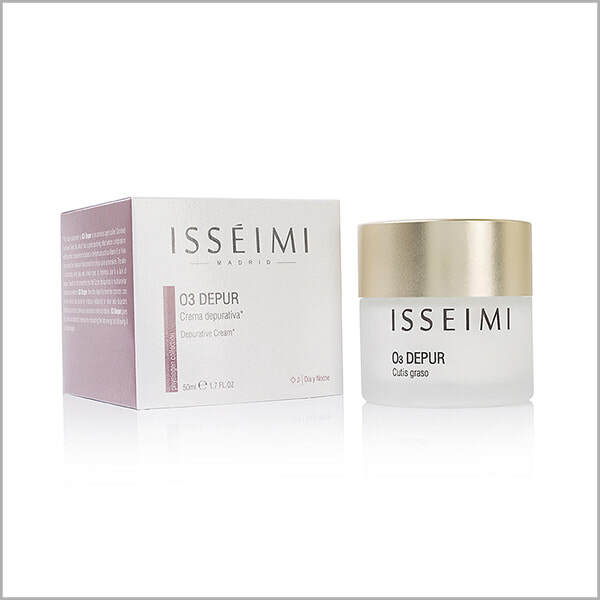 O3 Depur gives your skin an authentic renewal by recovering the lost energy and allowing it to breathe again. 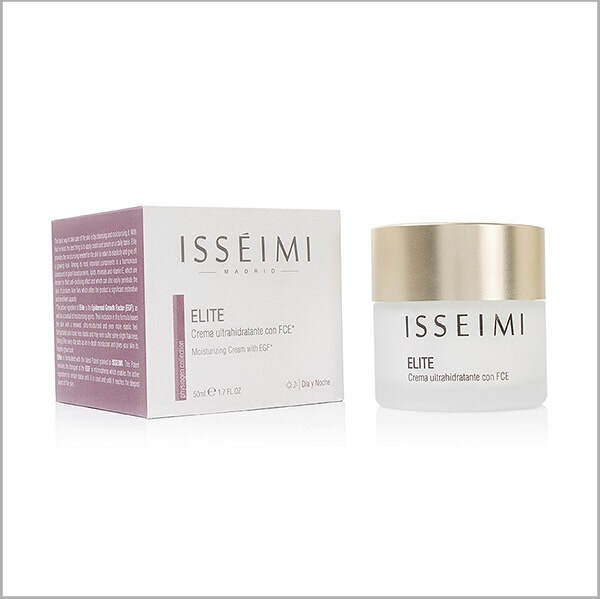 The main active ingredient of Elite is Epidermal Growth Factor (EGF), as well as a cocktail of moisturizing active agents. Their incorporation into this formula achieves skin that shines renewed, ultra-moisturized and with greater elasticity. Serums are formulations which contain an abundance of active ingredients. To increase their efficiency, you are advised to apply them under the moisturising or nourishing cream, or even at night. Their aqueous phase is in addition to skin-related substances and it allows them to penetrate even the deepest layers of the skin. Multi-moisturising action serum whose formula has been specially design to ensure that its active ingredients reach the deepest lying layers of the skin. 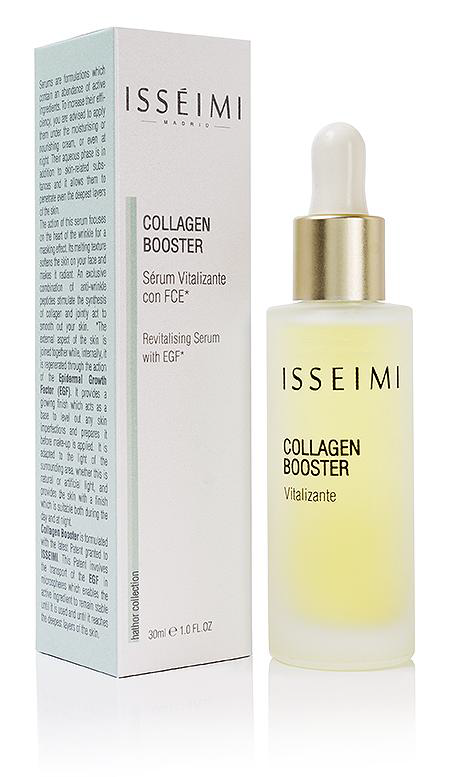 The multi-moisturising formula developed by ISSÉIMI consists of amino acids and lactates; it promotes the well-being of your skin and gives it a flexible and glowing appearance. The most important active ingredient is the Epidermal Growth Factor (EGF) which produces a cytoprotective and anti-oxidising action as it promotes the rejuvenation of your skin and a number of particular substances such as hyaluronic acid. 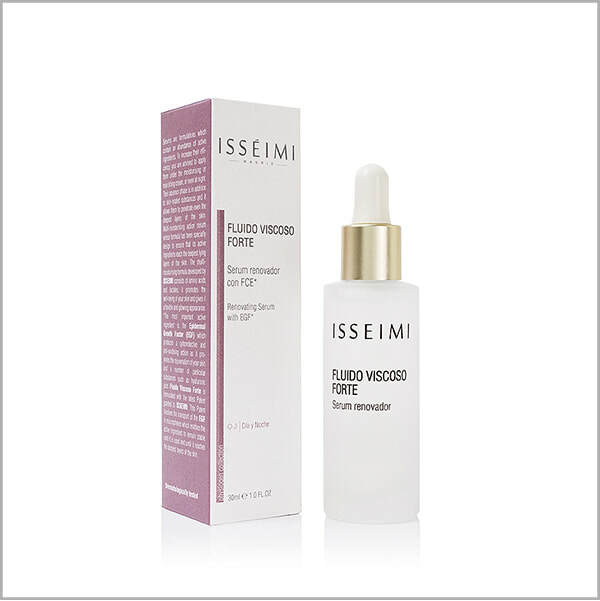 Fluido Viscoso Forte is formulated with the latest Patent granted to ISSÉIMI. This Patent involves the transport of the EGF in microspheres which enables the active ingredient to remain stable until it is used and until it reaches the deepest layers of the skin. Nutriestimul is designed for skin types which already show signs of ageing such as slight wrinkles, tissue slackness, lack of glow and/or dehydration. Its active ingredients provide in-depth nourishment and act as a moisturiser for all layers of the skin. Enriched with Shea Butter, it features a high content of fatty acids which help to soften your skin and maintain its elasticity. The active ingredient of Nutriestimul is the Epidermal Growth Factor (EGF) which combats the ageing process and gives the skin a renewed and radiant look. It helps to re-texturise the skin by giving it a softer look and promoting the benefits of the moisturiser. Its rejuvenating effect means that Nutriestimul can be used after physical or chemical peelings and other skin treatments. It improves any skin that has been exposed to solar radiation and other adverse weather conditions. Dehydrated skin looks less elastic and may even suffer some slight flakiness. Using Nutriestimul every day acts as an in-depth moisturiser and gives your skin its healthy glow back. 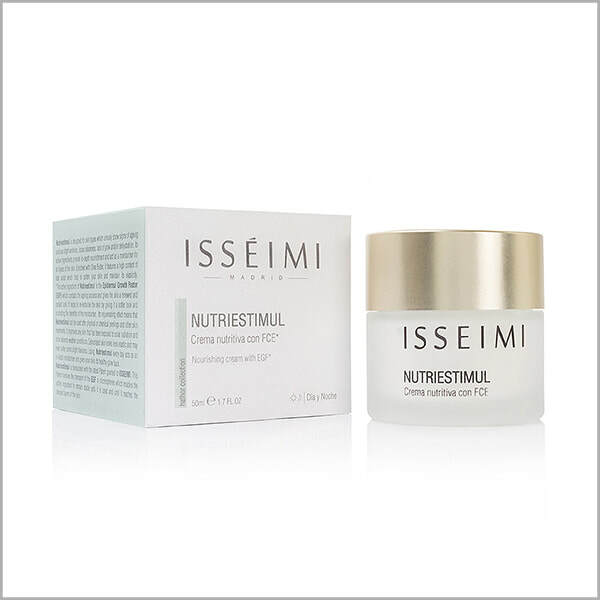 Nutriestimul is formulated with the latest Patent granted to ISSÉIMI. This Patent involves the transport of the EGF in microspheres which enables the active ingredient to remain stable until it is used and until it reaches the deepest layers of the skin. ​Serums are formulations which contain an abundance of active ingredients. To increase their efficiency, you are advised to apply them under the moisturising or nourishing cream, or even at night. Their aqueous phase is in addition to skin-related substances and it allows them to penetrate even the deepest layers of the skin. 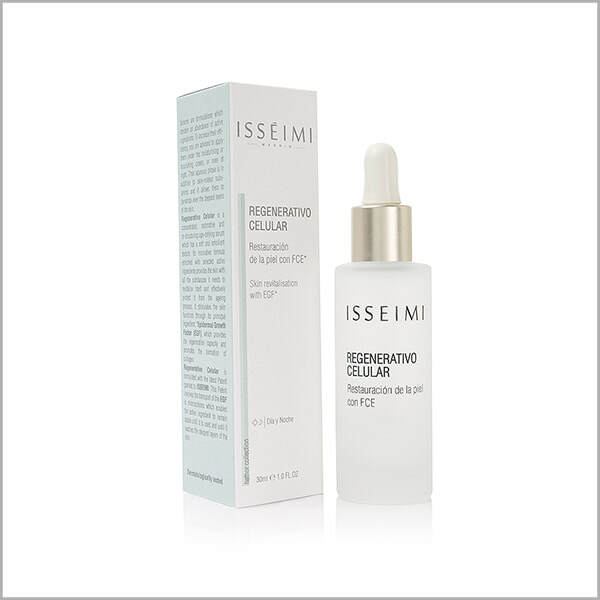 Regenerativo Celular is a concentrated, restorative and re-structuring age-defying serum which has a soft and emollient texture. Its innovative formula enriched with selected active ingredients provides the skin with all the substances it needs to revitalise itself and effectively protect it from the ageing process. It stimulates the skin functions through its principal ingredient, Epidermal Growth Factor (EGF), which provides the regeneration capacity and promotes the formation of collagen. 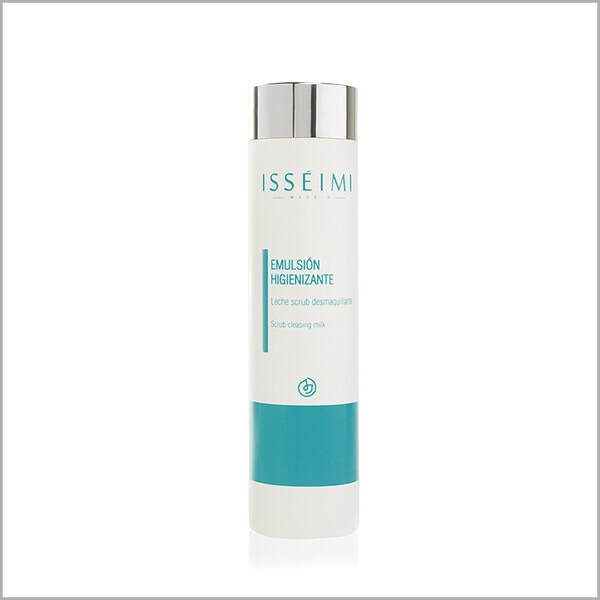 Regenerativo Celular is formulated with the latest Patent granted to ISSÉIMI. This Patent involves the transport of the EGF in microspheres which enables the active ingredient to remain stable until it is used and until it reaches the deepest layers of the skin. Most substances that whiten your skin work by preventing the skin from producing melanin, which is the pigment responsible for the characteristic skin tone of the mark. A cell called melanocyte is responsible for producing melanin; it is found in the innermost layer of the skin, toning down keratinocytes and paving the way for the dark pigmentation of the skin. 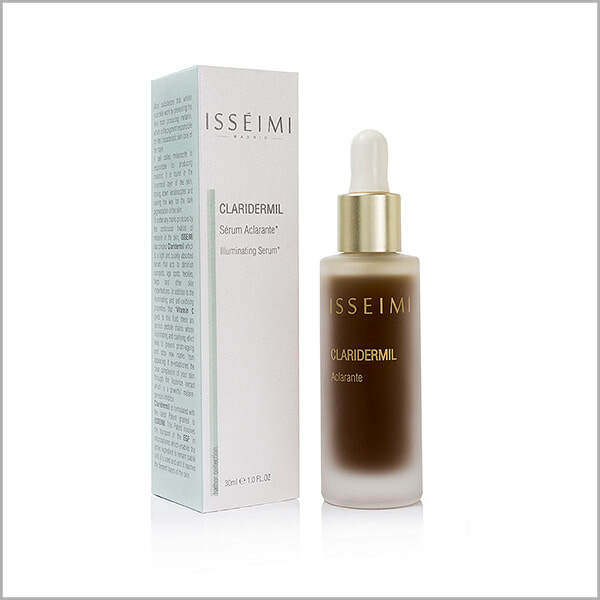 To soften any marks produced by the continuous fixation of melanin in the skin, ISSÉIMI has created Claridermil which is a light and quickly absorbed serum that acts to diminish sunspots, age spots, freckles, bags and other skin imperfections. In addition to the illuminating and anti-oxidising properties that Vitamin C gives to this fluid, there are various peptide chains whose illuminating and clarifying effect help to prevent photo-ageing and stop new marks from appearing. It re-establishes the clear complexion of your skin through the liquorice extract which is a powerful melanogenesis inhibitor. Claridermil is formulated with the latest Patent granted to ISSÉIMI. This Patent involves the transport of the EGF in microspheres which enables the active ingredient to remain stable until it is used and until it reaches the deepest layers of the skin. WHAT DOES IT DO? It increases the effectiveness of the cosmetic with which it is combined, fixing the makeup, making it last longer. It permeabilizes the skin. HOW TO APPLY After proper skin hygiene. To apply as a base before any cosmetics and makeup. WHAT IS IT? High protection and light texture sunscreen, with a wide range of solar filters which achieve a broad spectrum protection against solar radiation. Its natural finish and fast absorption makes it ideal for daily use under makeup. HOW TO APPLY: Shake before use. Apply an amount the size of a walnut, evenly, 30 minutes before sun exposure. The use of a smaller amount will significantly reduce the level of protection. Reapply the sunscreen frequently, especially after bathing, drying with a towel or excessive perspiration. Action: Pigmented and swollen skin around our eyes give us a weary and aged look. Contour-K is a light-texture cream that contains depigmenting agents such as Vitamin K and decongesting active principles such as caffeine, that reduces such symptoms. Contour-K also provides that extra moisture that is so necessary for this type of thinning skin. 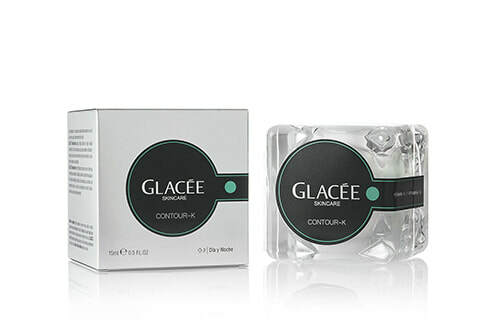 Its formula includes hyaluronic acid and is enriched with aloe vera. Instructions:​ It should be used twice a day around the eyes, especially in the lower area, where bags and lines are formed. Massage and tap gently to enhance product absorption. Apply in the morning before makeup with gentle taps until total absorption. 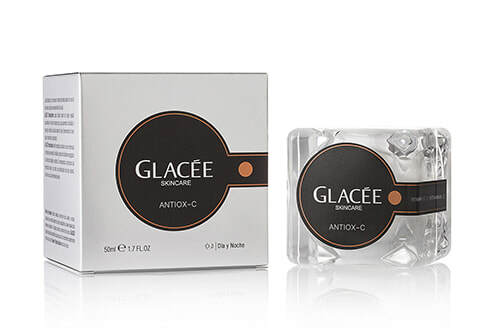 Instructions:Apply morning and evening as daily moisturizing cream.It is recommended to combine your night application with Glacee Serum Triple Action. Indications: It pulls in the laxity of tissues that overtime, lose its firmness. An effective way to treat the neck and the submental chin zone. For smokers, to reduce the signs of age. As a makeup base. In case of weight loss, it reduces the vacuum effect and loss of elasticity observed in these cases. Instructions: Apply on face, neck and neckline using a gently massage with rising motions until completely absorbed. Our advice: Make a good firming treatment, working at the same time through micro-currents with great precision. Action: Treats the aging in a progressively way and achieves a flash effect if is desired. Indications for use:Anti-aging treatment, in cases of extreme dehydration and lack of nutrition in photoaging. Instructions:Apply in the morning after the hygiene of the skin. 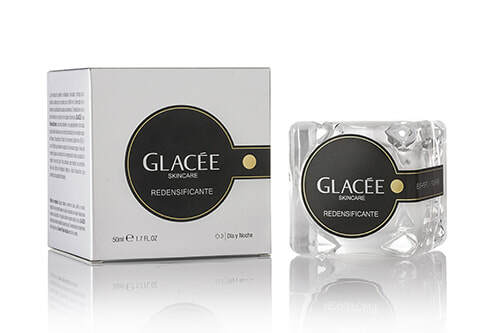 Our advice: Apply and always combine Glacée Crema Redensificante with constant and proper hygiene of the skin with Emulsión Higienizante and Kerathor 50. And at night always apply Serum Triple Action before the cream. Action:Preventive and treat early signs of aging. Improves skin moisturizing and texture thanks to its powerful asset and a very careful galenic. Indications for use: Moisturizing. Reconstitute the tissue fibers. Early signs of aging. Instructions: apply on the face, neck and neckline gently massaging until completely absorbed. Action: in cases of very dehydrated skin. Improves circulation. Regenerator and anti-aging effect. Indications for use: Aging skin, dehydrated skin, acne skin, rosacea. Instructions: At night after a proper hygiene of the skin, apply on face and neck, focusing the massage application in the lower third of the face. KGF (Keratinocyte Growth Factor) induces the skin cell renewal maintaining a healthy stratum corneum and fully restored. KGF is also responsible for the germinative cell homeostasis which is transferred into a homogeneous and well hydrated stratum corneum helping the corneocyte detachment occurs regulary without altering the cell cycle. It also helps a more permeable stratum corneum, allowing the associated ingredient to be rapidly absorbed. FGF promotes fibroblast proliferation, essential for the normal functioning of the dermis. It produces also an increase of the glucosaminoglucanos such as the Hyaluronic Acid thus becoming a great skin moisturizer from the lowest layers. The FGF requires a working methodology and its topical application must be associated with another Growth Factor. EGF (epidermal growth Factor) promotes cell renewal essential for good skin condition. Also, it favors the increase of collagen and elastine fundamental substances since the first signs of aging appear. It stimulates some anti-stress skin systems such as the SOD (superoxide dismutase) therefore has a great antiradical effect. Multimoisturizing complex: ensure an optimal level water of the tissue for its normal functioning. The NMF (natural moisturizing factor) is keeping the skin looking bright and healthy longer due to its extraordinary hydration that provides.